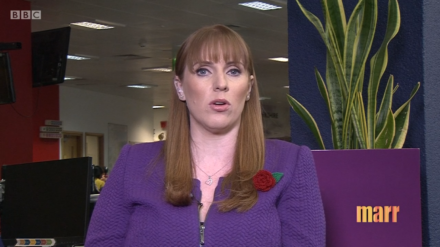 Angela Rayner attacked the Tory government’s record on higher and further education on The Andrew Marr Show today. “We’ve had three announcements of reviews in the last twelve months. Another review really isn’t going to solve the problem of the hike in interest rates, which this government has done, and the tripling of tuition fees,” said the shadow education secretary. This morning the House of Commons Treasury Select Committee published a report on student loans, which said the committee is “unconvinced that the interest rates currently charged on student loans can be justified on re-distributive grounds”. “Nor has any other persuasive explanation been provided for why student loan interest rates should exceed those prevailing in the market, the Government’s own cost of borrowing, and the rate of inflation,” the report continues. In particular, the committee finds that CPI should be used to calculate student loan interest rates rather than “widely discredited” RPI. Tomorrow the government is expected to reveal findings from its own review of university funding in England.